It’s easy to get depressed in the worlds of children’s books: whether it’s the ongoing closure of public libraries, the fact that writers are earning less and less or the dismal statistic that over 1 in 4 British children don't own a single book. But, if you haven’t abandoned me already, there ARE bright spots. One of these positive trends is the amazing growth of literary festivals. Big festivals are growing. Small festivals are mushrooming. This summer I witnessed both ends of this spectrum, doing events at one of the newest festivals and one of the most long established. The Leeds Big Bookend has been set up by a bunch of enthusiastic and dynamic people in the city where I live, Leeds, who felt that with virtually everywhere else around us boasting a festival – Ilkley, Harrogate, Morley, Wakefield (I could go on) Leeds should have one too. Entirely run by volunteers, it’s obviously been immensely hard work. The children’s venue was rather tucked away above a health food shop…and yet inside the organizers had built a wonderful story-telling yurt, to which every child in the place immediately gravitated. It was lovely. And still small enough and intimate enough that I probably had chat with every child there. 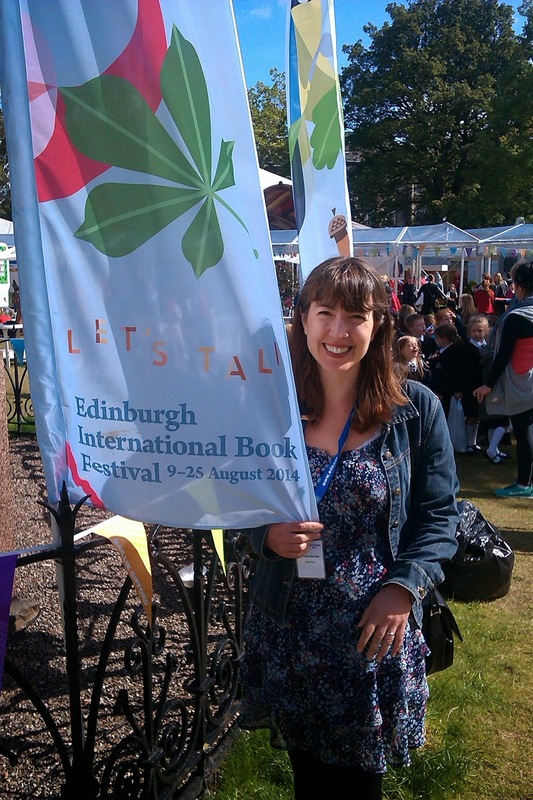 Then, at the end of August, I was off to one of the biggest and most well-established of festivals – the EdinburghInternational Book Festival (EIBF), where I was taking part in the Schools Gala Day. The EIBF is a major event in the literary world, where probably the highlight of a packed children's programme this year was an appearance by Malala Yousafzai, introduced by JK Rowling. Edinburgh is my original home town and I’ve been to the book festival there for years. I remember sitting in small tents, sometimes with a handful of people, listening to the speakers organized by Scottish Book Trust. Now the programme has grown hugely and the marquees in Charlotte Square are a hub bub of activity, with enormous queues, packed out events, famous faces passing in the crowd and a whole lot of people eating ice cream and sunning themselves on the grass (well, Edinburgh weather permitting). Of course, I’ve heard critics say that this growth in festivals only affects a few people – the book-buying public, and the families who encourage their children to read anyway. In other words, festivals are the past-time of a literary elite. Not so. My own first event was for an audience of around 350 children who had traveled to the Festival with their schools – seven different primaries from across Scotland. And in the afternoon, I did another school event in a local library – part of the Festival’s Outreach Programme, that takes writers and illustrators to meet children who most likely wouldn’t have the chance to come to the Festival. 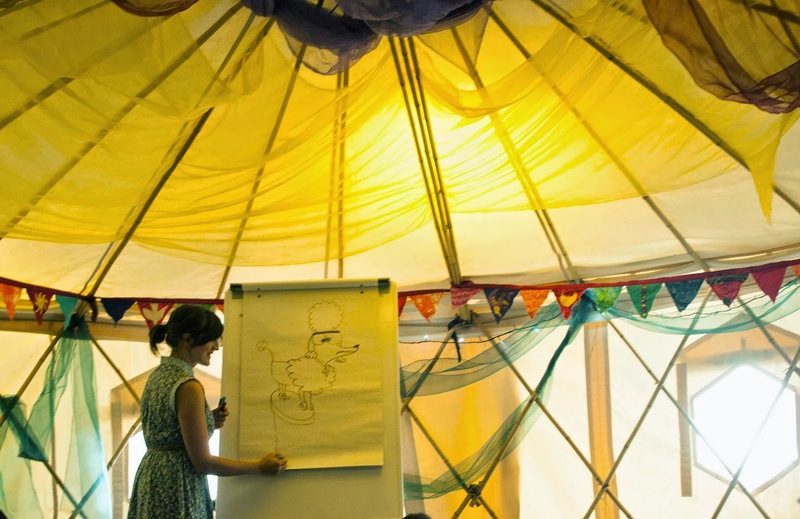 And this year Edinburgh also ran a Writer in Residence scheme – enabling a writer to go in and work with children in a school over an extended period, creating their own picture books. Edinburgh isn’t alone in this. 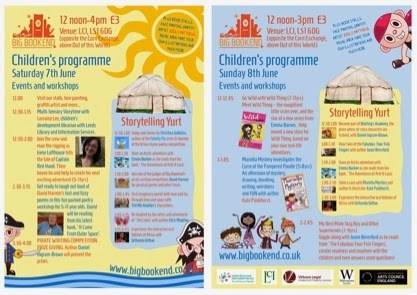 Many literary festivals run programmes of school visits, bringing together teachers, children, writers and illustrators. 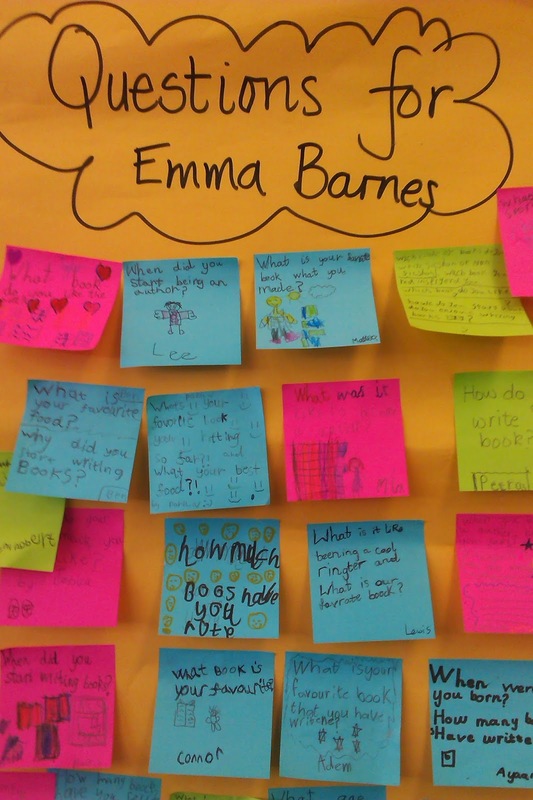 Now, many children are meeting authors, and that has a lot to do with book festivals. Did I inspire any of the children I met this year? I don’t know. I know they laughed a lot. I know they had lots of questions. And I know when a bunch of those 350 children came up onto the stage and acted out their own story about my character, Wild Thing (where she and her sister visited Edinburgh Castle and accidentally set off the One O’clock Gun) they certainly inspired me. 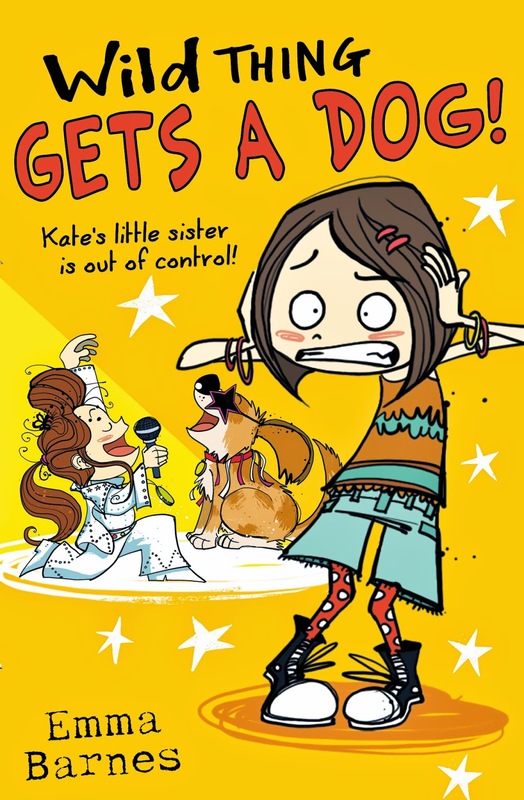 Emma's new series for 8+ Wild Thing about the naughtiest little sister ever (and her bottom-biting ways) is out now from Scholastic. Wolfie is published by Strident. Sometimes a Girl’s Best Friend is…a Wolf. I love festivals of all sizes, but my heart belongs to BOOKMARK - just in its second year, it's the book festival for Blairgowrie, Rattray and the Glens. I'm their writer-in-residence so I may be prejudiced, but if you have the good fortune to be in East Perthshire 10-12 Oct., drop in - you won't regret it! We've got Lari Don and Debi Gliori and Nick Hesketh and David MacPhail - and that's just for the kids. Sounds fantastic, Joan - hope it goes well! Would love to hear about other peoples' favourite festivals too. Audiences are the most difficult thing for book festivals, Sue. Don't feel bad about it or take it personally, even the biggest book festivals have some events with very few in the audience. Edinburgh and some others get around the problem of getting children to come, especially older primary and teens, by inviting school classes. Often a new festival just has not had time to get people interested and alerted to it happening. Hope BOOKMARK goes well, Joan. I've been invited big and small festivals but the Islay Book Festival, although small is well organised, by volunteers, and it was lovely both times I was lucky enough to be invited. Linda is right, Sue - I'm guessing every author has their story of looking out at an empty room! And I suppose with so many festivals, there is a problem of letting people know what's happening. I've been mostly lucky and have been to some lovely festivals, including Beverley, Morley, Ilkley and Wigtown. I felt really sorry for the person who'd organised this one. She'd done it off her own bat, just because she loved books and wanted her children to as well - she'd put such a lot into it. Hope some of the events were better attended. She was going to give her job up to concentrate on it the following year, but I haven't heard any mention of it since, so I'm guessing it didn't work out.